This is the only house on our street really gets into the Christmas spirit. 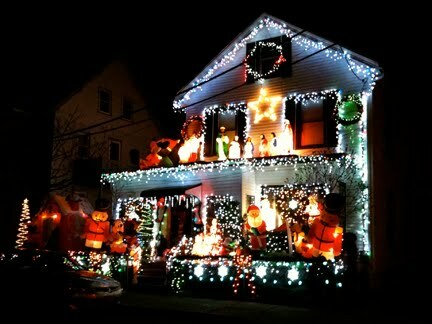 Every year it is so bright that I am convinced it more cannot be done to it. But I am always wrong.